“Glock” is the second in our 4-plan “gun maker” series of training plans for full time Law Enforcement SWAT and SRT team members. Glock is a “balanced cycle” and trains these 5 fitness attributes in generally equal proportions. 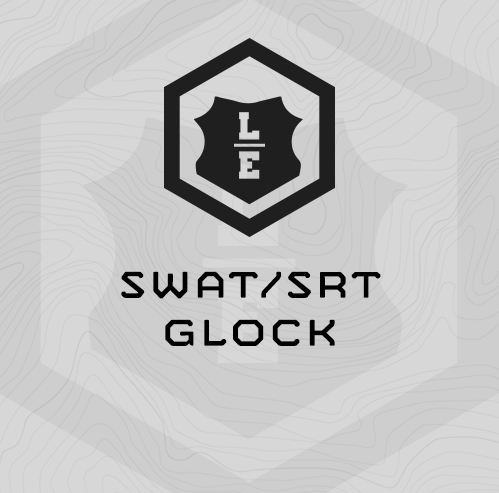 Strength – Glock deploys our “TLU” strength session design. TLU design is MTI’s most proven strength session design and trains a total body, lower body and upper body strength exercise each session in modulating intensities. Work Capacity – You’ll train work capacity two time per week during Glock, Mondays and Fridays. Mondays your work capacity effort is a long, 20-30 minute multi-modal effort in a 25# weight vest or IBA. Friday’s effort is split between 2 10 minutes events – 40-foot shuttle sprints, and an intense power clean/box jump/burpee density effort. Endurance – Glock’s endurance work is focused on improving your speed over ground. The work is built around a 4-mile run assessment and follow-on intervals based on your assessment time. Chassis Integrity – Friday’s you’ll train total, rotation and anti-rotation mid-section strength and strength endurance. Wednesdays you’ll focus on low back/extension strength and strength endurance. Fully-equipped functional fitness gym including racks, barbells, bumper plates, plyo boxes, dumbbells or kettlebells, sandbags (60/80#). Sprinting area for shuttles – 40 foot and 25m. These can be outside. Sprinting area for shuttles - 40 foot and 25m. These can be outside. 5x Front Squat - increase load each round until 5x is hard, but doable, then immediately …. Start doing singles, adding weight until you find your 1RM. Try to find it by your 5th single if not before.